"The Cumberland" Ideal for downsizers, this spacious 2 bedroom, 2 bath condo will accommodate your house sized furniture. Over 1400 sq.ft on one level with gas fireplace in the living room as well as the master bdrm. NW corner suite with sl iding glass doors off diningrm and kitchen/eating area to the balcony which faces a lovely tree lined street. 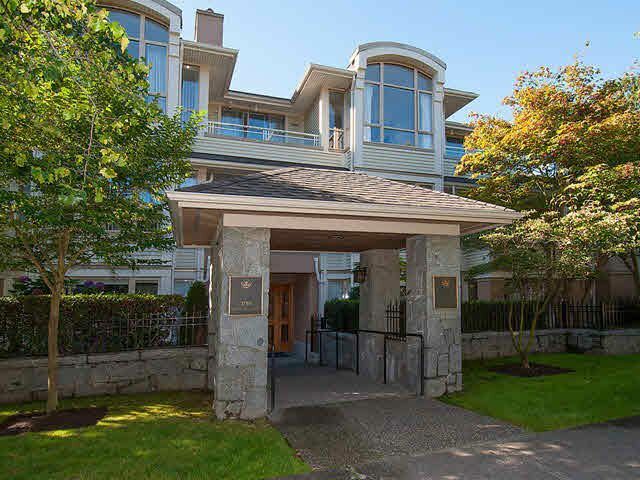 Quiet location within the building which is an established proactive strata. 2 parking,storage locker,common workshop & great ammenities which includes which includes hot tub & swimming pool.